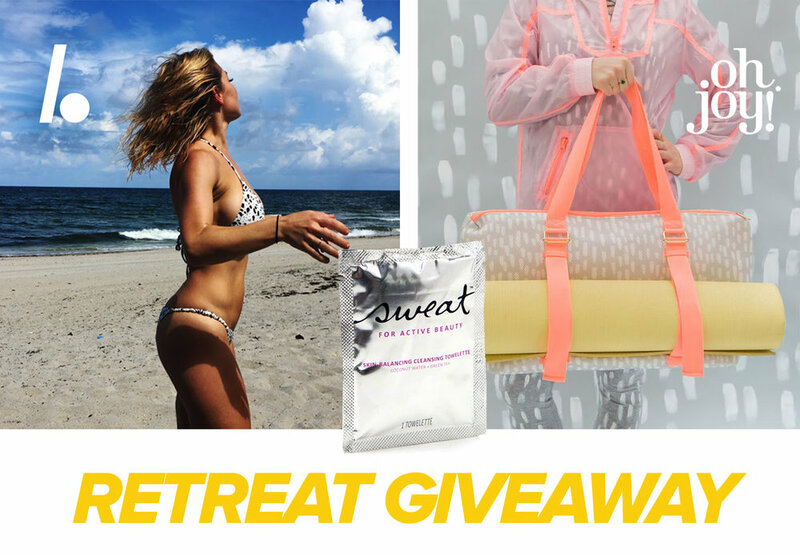 We've teamed up with our friends at Oh Joy & Sweat Cosmetics to give away the ultimate getaway (& get you into that !) right before Summer hits: One spot on my May 18-24th Activation retreat to Little Corn Island, a one-month membership to Studio LB, one Oh Joy yoga tote, & one Sweat Cosmetics pack of 30 skin balancing cleansing towelettes to one lucky winner ($3k value)! Enter here!